It isn’t often that we see games starring seasoned actors on display. That’s not to say that it hasn’t happened, but it just isn’t very common outside of movie tie-ins. Of course the transition of star talent from television to movies has become extremely common, so it only makes sense that videogames would be the next logical step. Quantic Dream is taking that next step in an effort to help the game industry mature, and I think that's ultimately a good thing. Perhaps one of the more notable occurrences of this happening is Aaron Staton (Mad Men) playing Officer Cole Phelps in L.A. Noire. They used his facial movement, voice, and likeness to really sell the character. This is somewhat special, because Rockstar didn’t explicitly tout him around as part of the marketing campaign, as is the case with Beyond: Two Souls. To my knowledge, there hasn’t been a situation in recent memory where the actor who portrayed the lead character was featured as prominently as Ellen Page is for her part in Quantic Dream's Beyond: Two Souls. Of course it actually isn’t that strange considering the circumstances that spawned this game. 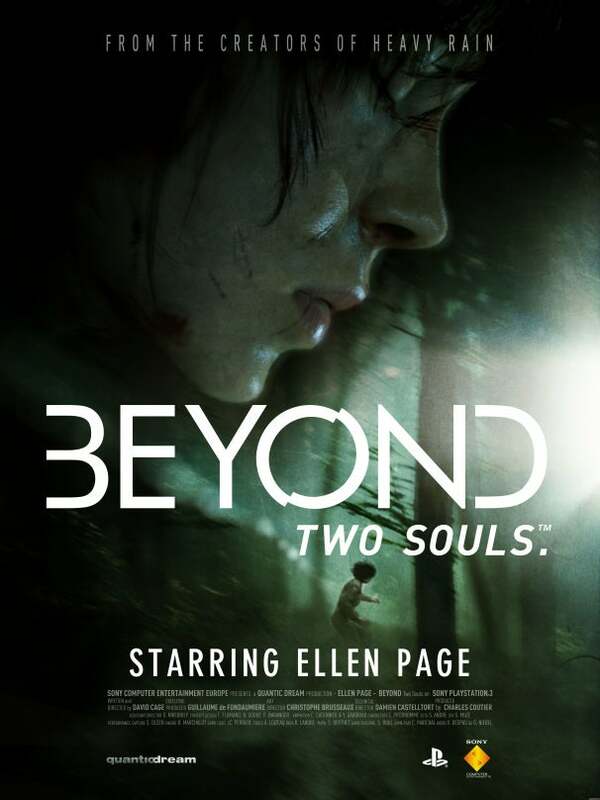 Beyond: Two Souls was created by David Cage (Heavy Rain) with Ellen Page in mind, developing it around her personality and how he envisioned her portraying the character. Given the marketing materials, it seems like Cage doesn't believe putting someone else in her place is really an option. He doesn’t seem to see her as a videogame character, but rather as an actor contributing a performance . I think that much is clear from the behind-the-scenes video posted by IGN; it features David Cage instructing Ellen Page and the game’s other actors about how the process will work and then shows us a good bit of motion capture in action for Beyond: Two Souls. It’s an amazing look at the different way that Quantic Dream is approaching this game. Certainly they’ve never really treated any other project as if it were “just a videogame,” but their latest approach solidifies their commitment to tackling games as higher art. It’s a larger project that is meant to be more of an experience than a game. The same was said about Quantic Dream’s previous title, Heavy Rain, and while it was received exceptionally well by critics, it failed to change the way that we view games. But instead of demuring, it seems Quantic Dream has doubled down on their next game. Let's be honest, you won’t find many games that prominently feature an actor that has spent most of their career in film. That transition isn’t common in any regard, let alone someone as famous as Ellen Page. She doesn't appear to take this task lightly, and that has me extremely excited for what is to come with Beyond: Two Souls. We aren't certain of a release date yet, but if it really is going to change the way that we look at games, they can take their time.